Como encontraras en un hotel de 5 estrellas. Lo único que necesitarás es tu comida y ropa. Excelente ubicación panorámica, cerca de tiendas, cafés y restaurantes de moda. Cerca de todas las atracciones, aeropuerto y ciudad. Hay una parada de autobús en la puerta principal y la estación histórica de agua dulce está a un corto paseo y ofrece viajes panorámicos a Kuranda en las mesetas. Hay un escritorio y WiFi gratis con datos ilimitados. Auto check-in en cualquier momento después de las 2pm. Ropa limpia y fresca, alto nivel de limpieza y comodidades de calidad. We spent 4 nights in this lovely townhouse, and were very pleased with the property. It was clean, nicely decorated, and well-furnished. The bed was comfortable, there was a great handheld rainfall shower in the bathroom, air conditioners on both the main and second levels, as well as ceiling fans to circulate the air. Upscale liquid soap, shampoo, and conditioner were provided. We appreciated having a toilet in the first floor laundry room. An attached garage made parking a breeze. We loved being in this quiet area, especially compared to the hustle-bustle of Cairns. The Freshwater Train Station for the Kuranda Scenic Railway was across the street from the townhouse complex--this was a wonderful excursion. We shopped at the large Cole's grocery in Redlynch, only a few miles away, which was well-stocked and included prepared take-away foods. There was a wonderful walking/jogging/biking trail just behind the Freshwater Station. 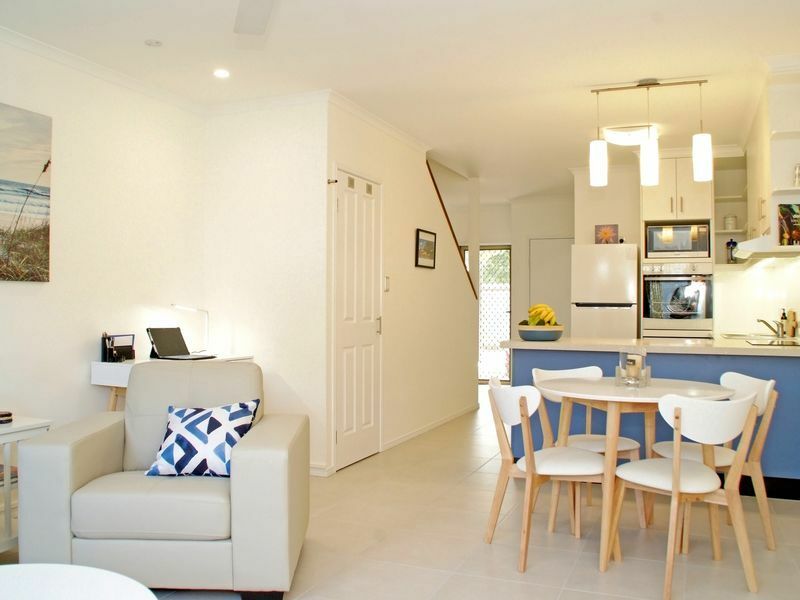 This was a great value property which we would highly recommend to others who want to enjoy the sights of Queensland. The owners were easy to work with, as was the property manager. Check in was straightforward. Everything was perfect. This was definitely one of the best experiences we ever had. Highly recommended. A very well decked out appartment! We loved it. Really clean, comfortable, great beds and tastefully decorated. It is right near the Freshwater Rail Station ready to depart to Kuranda. Perfect for a family of 4 or 5. We truly enjoyed our stay. Clean, quiet, comfortable.